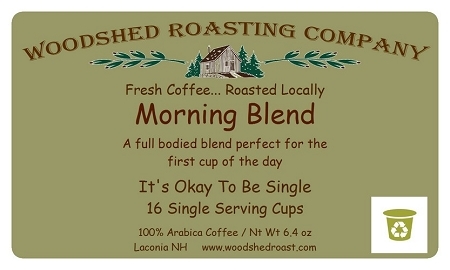 Woodshed Roasting Company understands how important that first cup of coffee in the morning is, and our single-serve Morning Blend ensures a perfect cup every time. Full-bodied and deliciously smooth, with that rich taste that puts a smile on your face and a little more pep in your step. 16 Single-serve cups! Delicious and delicate. Perfect for anyone who thinks they like Dunkin Doughnuts coffee.